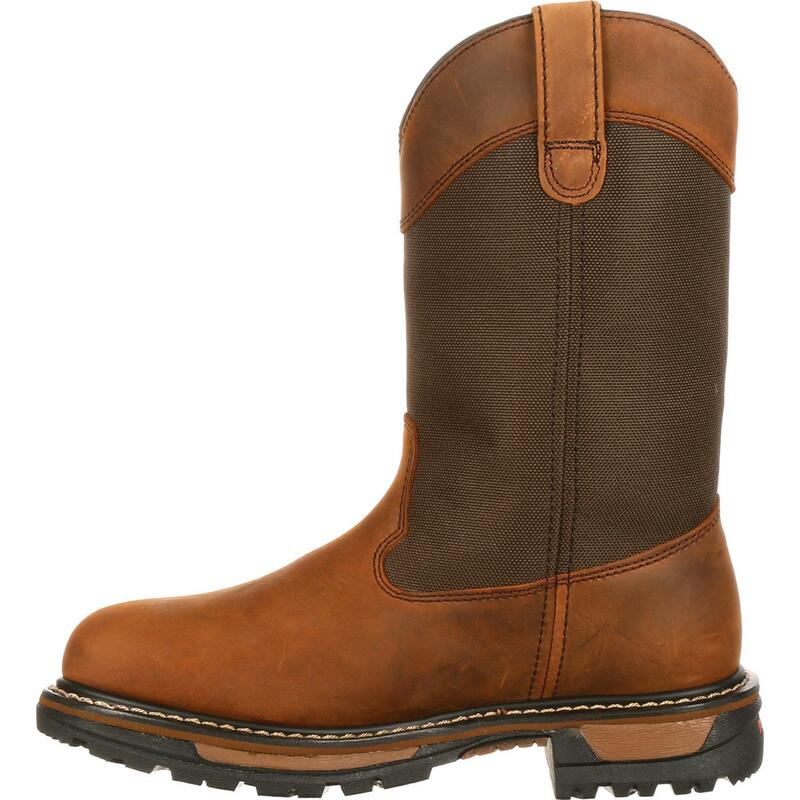 After you step into the Rocky® Ride Insulated Waterproof Wellington Boot, you won't want to stop. 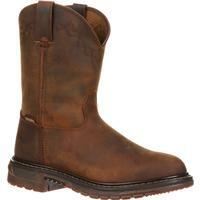 This boot puts concerns for warmth and dryness at the forefront of focus, where they belong. Combining guaranteed Rocky Waterproof construction with 200 grams of 3M™ Thinsulate™ Insulation ensures you'll feel the comfort you seek during life's less accommodating conditions. Never let frigid feet and wet toes ruin a good time again. With the 8-Layer Rocky Ride Comfort System, you'll be more than warm and dry. You'll be comfortable! 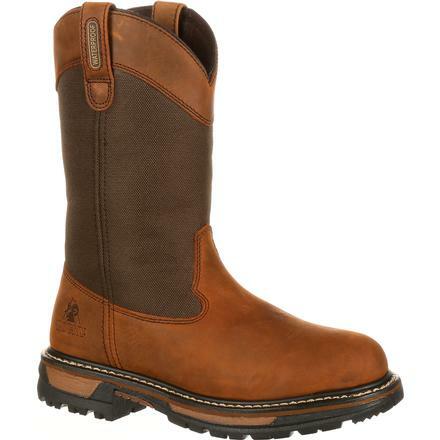 This insulated boot has an EVA midsole that absorbs shock, relieving you of painful impact that could slow you down, while a removable dual-density polyurethane Ride footbed with heel stabilizer steadies every step. Whether you're running errands, exploring the woods or making your way to work, you can feel confident that your feet will be feeling fine in this comfortable boot. 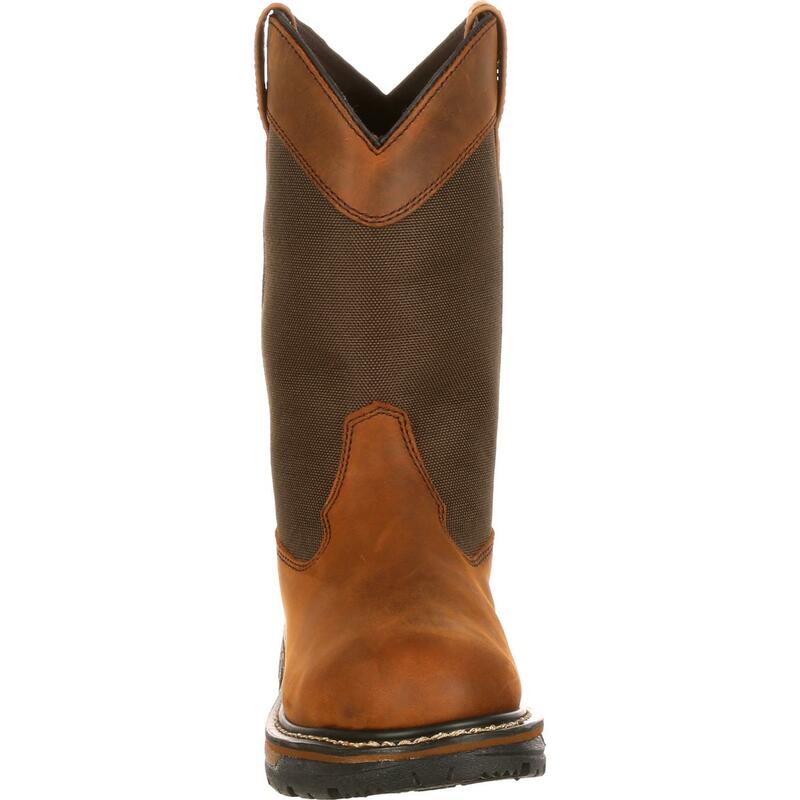 A dedication to durability in the construction of this men's boot lets you look forward to years of comfort to come. 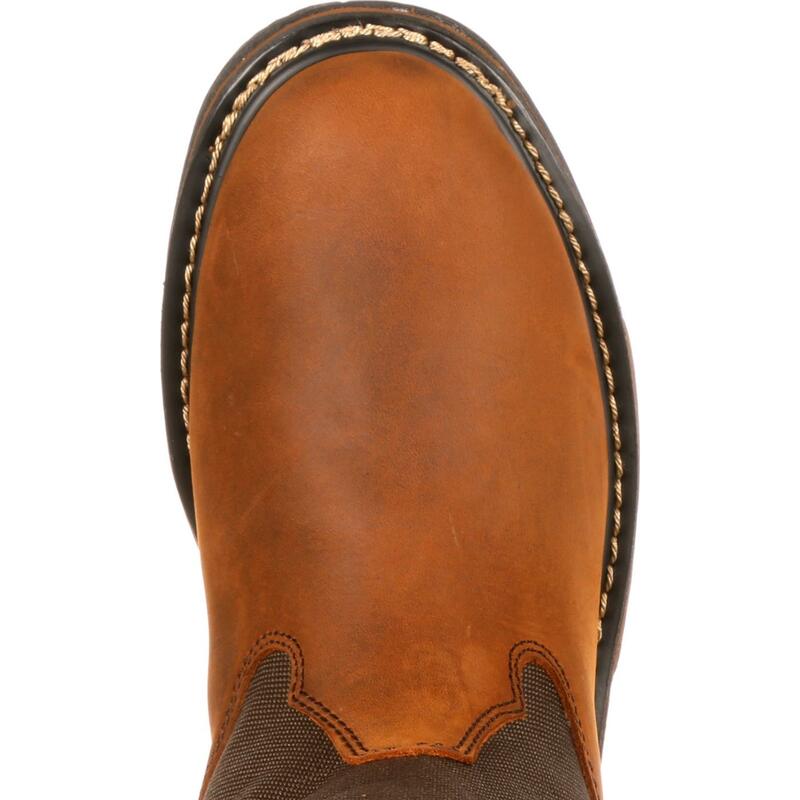 With a Goodyear® welt construction, stitching surrounds your whole outsole, freeing you to carry on fearlessly in any environment. 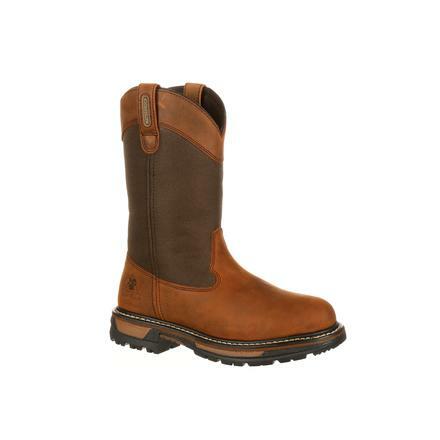 There's no need to worry when you know your boots will withstand tough conditions. 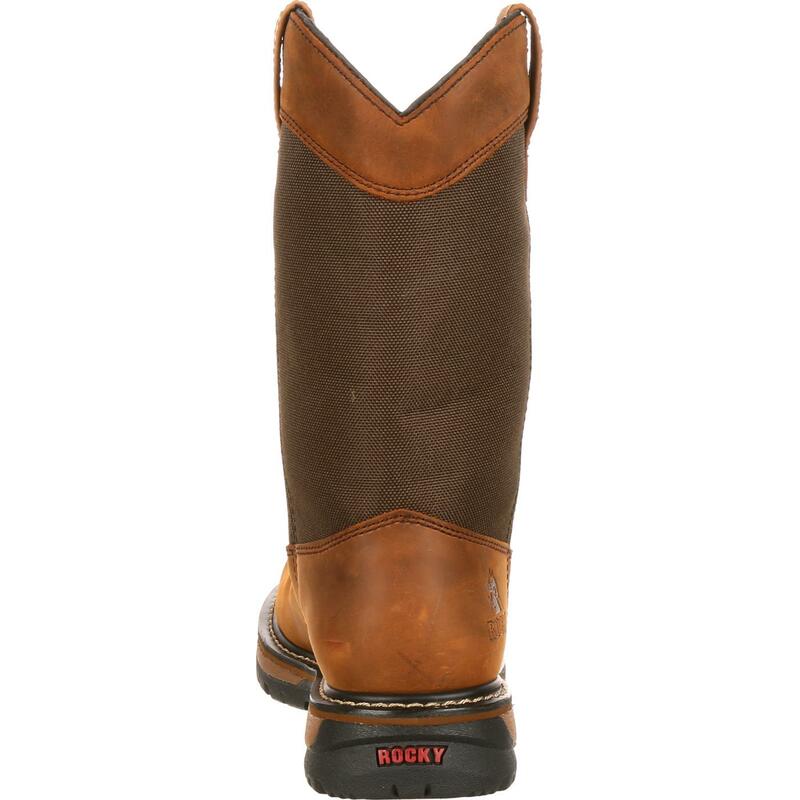 This 10-inch boot comes in full-grain brown leather, a practical and attractive option for any event. If you're looking for exceptional dependability in a versatile look, the Rocky Ride Insulated Waterproof Wellington Boot is for you.